Before a hailstorm hits, you must fortify your roof to resist the hard impact and potential damage. 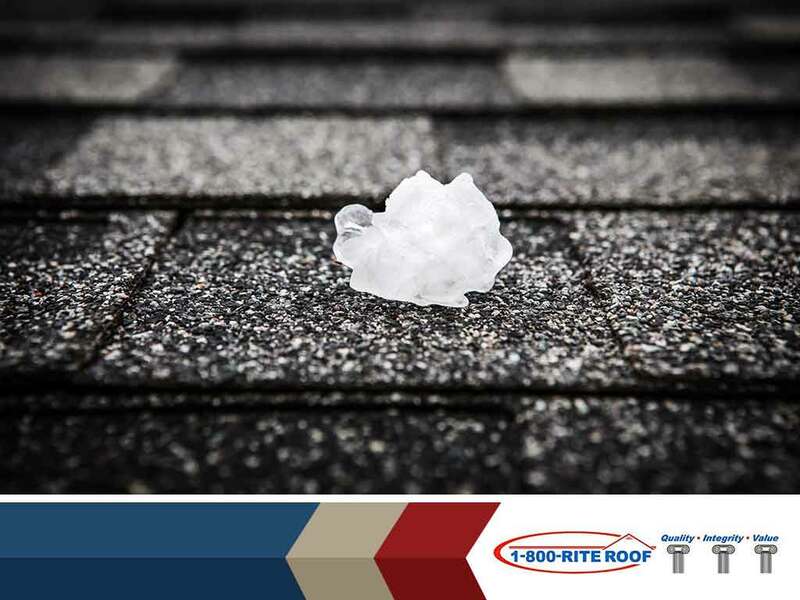 There are preventative measures you should take to prepare your roof for a hailstorm or any severe weather. 1-800-RITE ROOF, your local roofing contractor, discusses what they are. You shouldn’t conduct inspections on your own because you are likely to miss some roofing issues. Instead, have an expert inspect your roof for you. They’ll be able to spot weak areas in your roof and strengthen them in advance. You could also ask your professional roofer about the proper roof maintenance your home needs. That way, it would stand better against tough weather. Getting rid of overhanging roof branches would minimize the risk of major roof damage. When hail begins to fall, it could cause weakened large branches to fall on your roof. It’s both costly and time-consuming to have an emergency roof replacement. You could also protect your roof by doing such tasks as by covering your skylights to prevent glass damage, reinforcing your roof shingles for better defense and sealing your roof flashings better to avoid leak formation. Again, a professional can do a better job at this. Your gutters and downspouts serve an important job for your roofing system: draining water. Of course, when hail gets stuck on your roof, it turns into liquid and needs to be drained away from the exterior surface of your roof. Otherwise, it could cause water damage. But if your gutters are suffering from major blockage or damage, the melted hail would have nowhere to go and may seep through your roof, encouraging the development of mold and mildew on your shingles. We can prepare your roof for you to make it stronger against any weather. Our wide range of services include roof repair, maintenance and replacement. At 1-800-RITE ROOF, we prioritize the safety and comfort of our customers. Call us today at (262) 373-3800 for more information. You can also fill out our contact form to request a free project estimate.